One of the most important questions we’ve ever received is What is the best survival knife? Unbeknownst to a lot of preppers, there’s not one quick and easy answer to this question; and, unfortunately, a lot of preppers and survivalists have gotten it wrong. Not all knives are treated equally – far from it, actually. And if you choose the wrong one, you could be putting yourself at a MAJOR disadvantage in an SHTF situation. Basically the answer to the question “What is the best survival knife?” is: It depends on what you’re using it for. You wouldn’t use a hacksaw to cut down a tree, would you? Of course not – and yet millions of preppers buy any old knife and think it’ll work for them and what they’re trying to accomplish. This can obviously become a huge detriment in the field. Believe it or not, every knife blade is different and is intended for a different purpose – that’s why getting/using the wrong knife blade could be damaging to the knife, and could set you back in your survival pursuits. 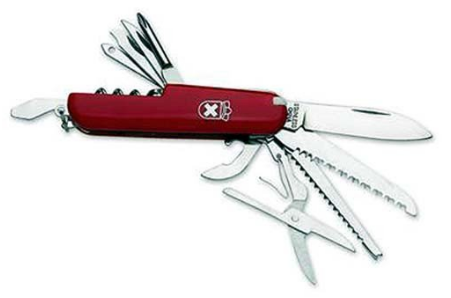 Let’s start with the basics – most everyone has either seen or used a pocket knife before. 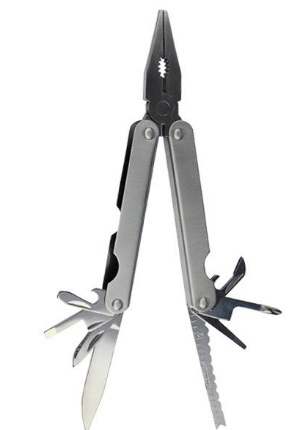 These incredibly handy multi-tools serve a multitude of uses, such as opening cans, opening wine bottles (or anything else with a cork), removing/screwing in screws, dislodging hooks, removing thorns and slivers from your hands, scaling fish, cutting fabric, etc. The knife blades are typically durable and often feature a Drop Point blade (which we’ll learn about in a moment). Pocket knives are marvelous tools that men and women (not to mention Boy Scouts) all over the world know and love. 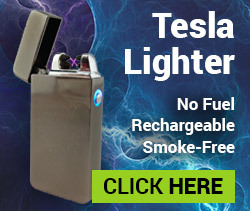 They’re also great for cutting through paracord, leather, nylon, and other fabrics, and can even be used to cut into trees to gather water and sap. However, the obvious downside to pocket knives is they’re not the best when it comes to heavy duty projects. That’s because the blade of the knife just isn’t large/durable enough to do serious damage. 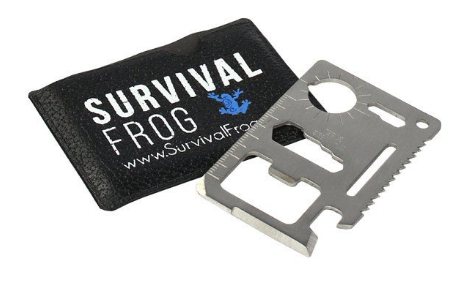 However, if you need a compact, versatile survival tool that’s good for lots of smaller uses, there’s nothing better than your standard pocket knife. 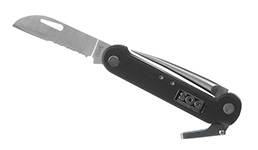 You can even click on the image of the pocket knife above to grab one from our survival store today! The Sheepsfoot blade is loved by sailors and EMTs alike as these knives are experts in seamlessly slicing through seat belts, ropes, and other thick restraints. Even better, this knife provides false point protection against accidental punctures, making your survival experience even safer while in use. If you need to quickly and efficiently cut through thick paracord, rope, or other thick restraining devices, this knife is absolutely the one to use. 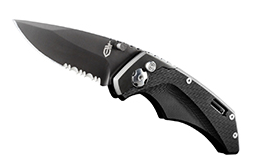 The Drop Point blade is probably the most common among survival knives (and can even be found in many pocket knives). However, its popularity among survivalists and hunters is justified. The blade’s lowered point, large blade and sloped spine make it an ideal selection for skinning animals with precision. The blade also offers a very controlled cut, allowing you to slice confidently. The Drop Point’s durable blade also helps prevent breakage – a crucial element in survival knife selection. 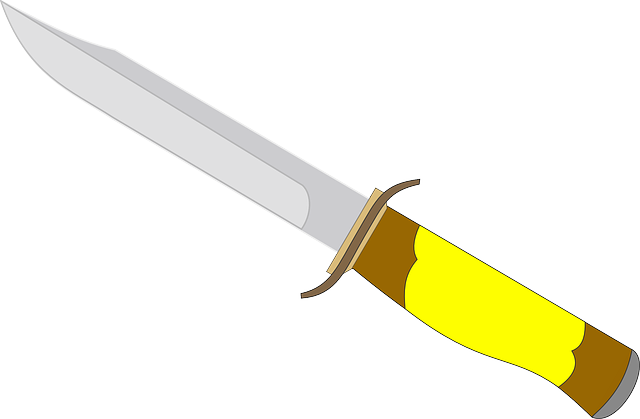 The main downside to this hunting/survival knife is that the blade’s large surface area and dropped point isn’t intended for piercing, and so it is not recommended for puncturing small holes in metal or fabric, such as to use as an awl for mending a shirt. Spear point blades are the knife thrower’s best friend; that’s because its sharp point (which lines up with the blade’s center) specializes in piercing and stabbing. 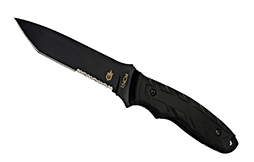 This blade is highly durable and strong, allowing it to puncture a variety of materials. However, the downside to this fine blade is that it doesn’t specialize in cutting; although it can slice through thinner objects, you won’t get as much versatility in this area as with the Sheepsfoot or Drop Point blades. The tip of the blade is thinner than the body, making it effortless to stab with. 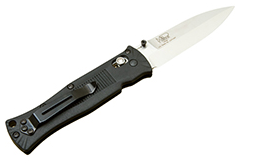 However, the Clip Point does feature a rounded edge, like the Drop Point knife, which causes it to make controlled and precise cuts with ease. The downside to this versatile blade is that the tip is thin enough that it can break fairly easily. Blades with serrated edges can be very beneficial for sawing through thick tree branches, rope paracord, and other objects. If your purpose is to saw through a piece of chunky, textured material, the Serrated Blade is often your best bet (even moreso than the Sheepsfoot). The downside to serrated blades is that they are often more difficult to sharpen, and require specific sharpening tools to fit between the serrations. Tanto blades are arguably the best of all worlds when it comes to survival. Not only does its incredibly sharp point make it easy to pierce material with than other types, but its strong and durable precision blade allows for cutting through a variety of materials. 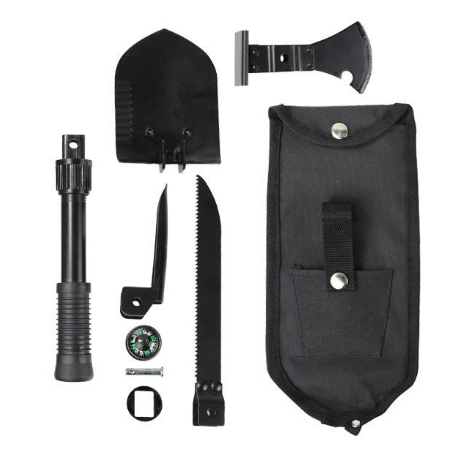 Popular with military, law-enforcement and survivalists alike, this is a great go-to when you need a good “jack of all trades” survival knife for the great outdoors. Believe it or not, the material your survival blade is made of says a lot about its functionality and durability in the long-run. Now there are THOUSANDS of types steel and other types of blade materials out there, and writing about each of them would probably put us both to sleep (and would probably be pretty confusing). This is a crucial section that you really don’t want to miss out on. A lot of times knife blades get all the attention, and so a lot of preppers really don’t consider the handle of the knife, or really know too much about it. However, a knife is much more complex than a lot of people think, and I firmly believe that if you’re going to be depending on a weapon in an SHTF situation, you’re going to need to know the ins and outs of it to use it properly – and that includes the handle. Well there you have it – the basics you need to know to pick the best survival knife for you. I hope the information above has given you plenty of things to think about when selecting a survival knife. This is a process that should not be taken lightly, and selecting the right (or wrong) one will really make a big difference in a survival situation. We want our customers to have the absolute best knives for survival. However, the knives we had in our store previously just didn’t cut it (if you can pardon the pun). That’s why we’re in the market to bring on some new knives that are really best suited for survival. And, because we weren’t in love with the knives we had originally, we’re developing our own. We’ll keep you updated on our progress, and are excited to bring these new survival knives to our survival store ASAP! But for now, let me entice you with some of the survival tools we DO carry – the ones that act like knives, but also have MANY MORE uses. These incredible survival tools will cut, saw, hack and otherwise sever the materials you have, and yet are so versatile that they have WAY more purposes than just that. 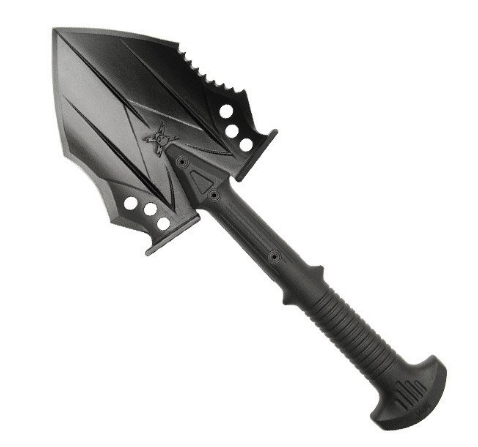 Now I’m not saying these survival tools can or should be a substitute for a survival knife; however, due to their portability and variety of uses, I guarantee these can easily help you out in an SHTF situation. 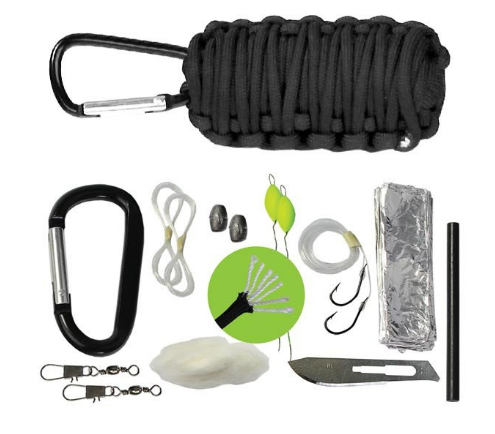 I can tell you’re curious, so go ahead and click on the images below to learn more about these incredible survival tools. 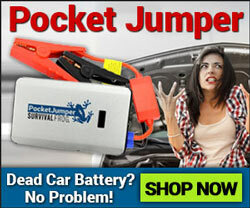 They just may save your life! 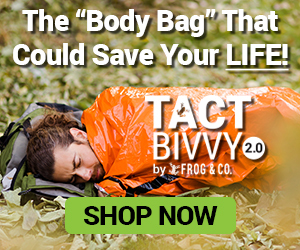 This entry was posted in Emergency Survival, Outdoor Survival, Self Defense, Videos and tagged alternative weapons, survival, what to put in a bug out bag on January 14, 2017 by Survival Frog.